Audiences remained standing after the world premiere performance of Kim Allen Kluge & Kathryn Kluge’s American Concerto for Piano & Orchestra on May 6, 2016. Maestro Kluge conducted the Alexandria Symphony Orchestra and guest pianist Thomas Pandolfi in a powerful and poetic performance of this epic celebration of “things American” — sweeping landscapes, the great musical melting pot and American idealism. Due to high demand, a new recording is slated to be released soon. 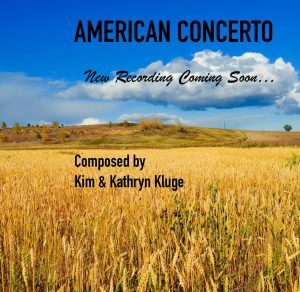 To learn more about the American Concerto visit the American Concerto website.